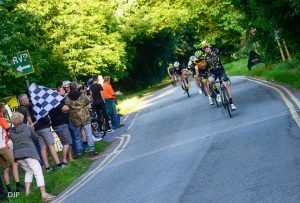 James Ireson (Morvelo Basso) sprinted to victory in the sixth round of the South Staffordshire and Shropshire Road Race League. The 21-year-old, from Wolverhampton, was part of an elite group of six riders who escaped the rest of the field and contested the finish. Ireson, who has recently finished riding in the televised OVO Energy Tour Series, was joined by a host of visiting elite riders including fellow professional rider Andrew Tennant (Canyon Eisberg). The Enville course, near Stourbridge, is known as one of the hardest in the road race league and includes four ascents of Six Ashes climb. The handicap format meant that the elite riders had a gap of 10 minutes to catch the first group on the road. Once they did the winning move escaped the peloton including overall leader Kirk Vickers (Rhino Velo Race Team) and built up an unassailable margin of over a minute. Coming into the flat finish Ireson used his track speed to ride clear to victory while Vickers settled for second and veteran David Griffiths (Clee Cycles) finished third. The second place for Vickers saw him increase his overall lead substantially with league rivals Ben Joughin (Pro Vision Race Team) finishing in 49th and his team-mate Matthew Garthwaite in 28th. 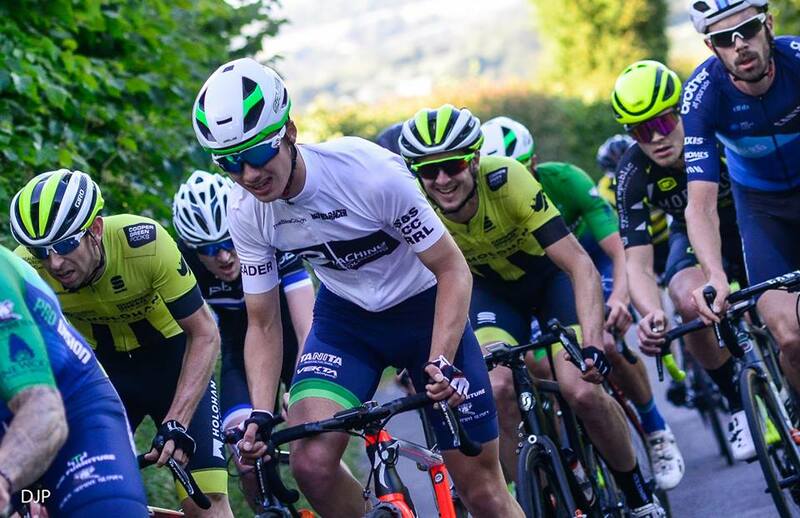 It was also a good night for junior series leader George Mills-Keeling (Pro Vision Race Team) who increased his grasp on the jersey with a 13th place finish. Fastest woman was Hannah Lancaster (Ludlow Brewery RT) while Annie Stanford (Paramount CRT) kept the overall women’s jersey.